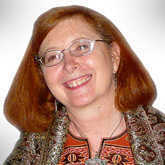 Mary K. Greer is a Tarot expert with over forty years of divinatory experience. She is featured at Tarot conferences the world over and is an Arch-Priestess/Hierophant in the prestigious Fellowship of Isis Tarot organization. Her work -- including eight books on Tarot -- have garnered her many awards, including Best Divination Book from the Coalition of Visionary Resources, the 2006 Mercury Award for excellence in communication in the metaphysical field, and the International Tarot Lifetime Achievement award in 2007. As an author and teacher, Mary emphasizes personal insight and creativity. As a Tarot reader, she works as a "midwife of the soul," using techniques that are interactive, transformational and empowering.